Clarksdale, MO……Ruth Ann Thornton, age 83, was born January 17, 1933 in Clarksdale, Missouri, the daughter of Clifford Raymond and Delsie Ruth (Ketchem) Thornton and passed away September 8, 2016 in St. Joseph, Missouri. On July 6, 1950, Ruth Ann married her childhood sweetheart Kenneth Elmer Thornton and they were at each others side for 63 years until his passing in 2013. She was a member of the Union Chapel Cemetery Board and Mt. Moriah Baptist Church where she was the Church Clerk and Sunday School Teacher. 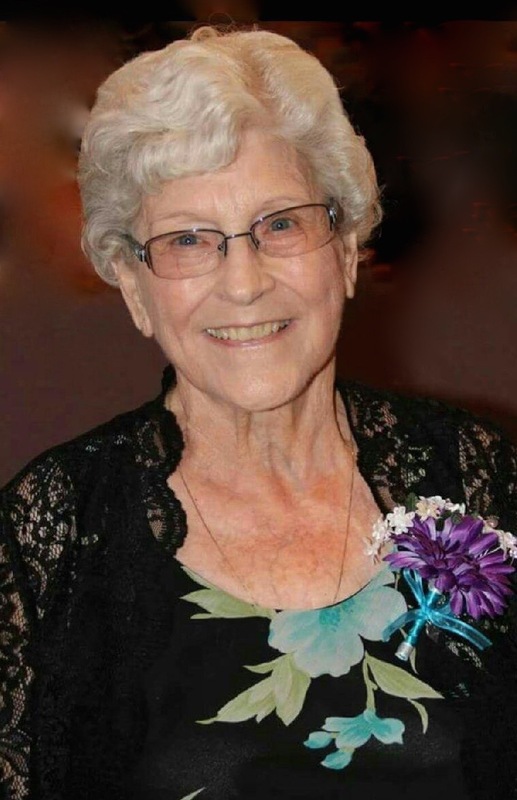 Ruth Ann was a loving wife, mother, grandmother, great-grandmother, and she had great joy in her grandchildren. Ruth Ann is preceded in death by her parents; husband, Kenneth; and two children, Kendra Kay and Russell Lee Thornton. Survivors include two daughters, Shirley Zieber (Larry), Maysville and Karen Carpenter (Brett), Gower; daughter-in-law, Debi Thornton, Clarksdale; sister-in-law, Lou Wamsley, Savannah; seven grandchildren, Brandie Thornton, Timothy Thornton (Taylor), Angela Zieber (Russ), Matthew Zieber ( Jacqualine), Kimberly Sanchez (Manuel), Michael Carpenter (Neely), and Mallory Lanham (Hunter); and three great-grandchildren, Braedyn, Mina, and Kasen. Mom talked about you guys a lot, so we know you were good friends. Thank you so much! Brandie, I was so very sorry to hear of your grandma’s passing . You and your family are in my prayers and thoughts.